Be a scientist as you discover how to power this 4M digital clock using potatoes and NO batteries. Experiment to find out what other substances will power the clock. 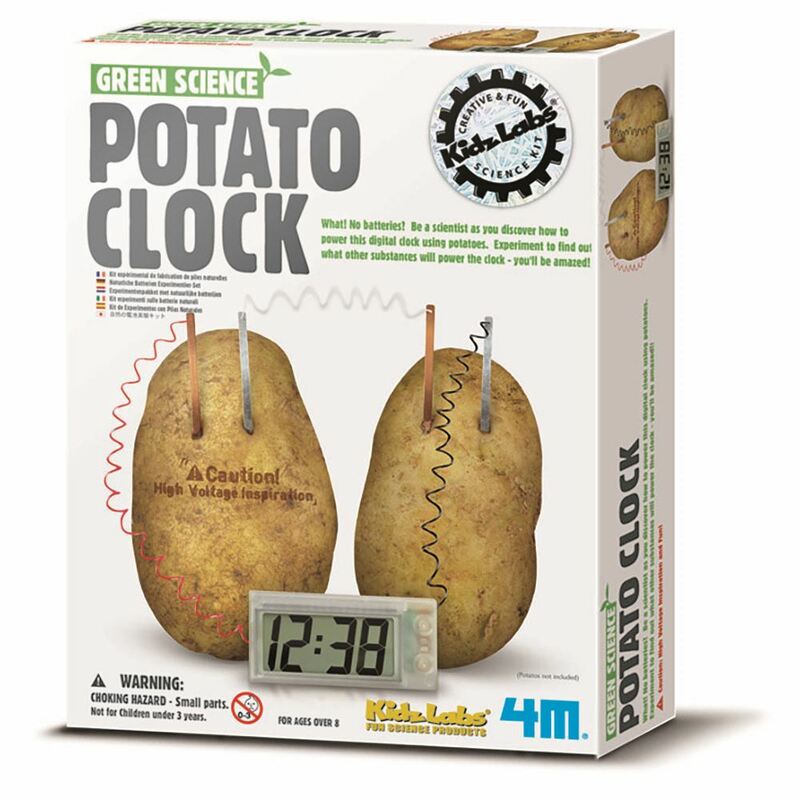 Includes: a digital clock with wires, pots, connecting wires, accessories and detailed instructions. Age 8+ years. Part of the Green Science range. Distributed in New Zealand by Holdson.